While 1998 might have been a down year for music, 1999 was AMAZING. It is almost impossible for me to arrange my top 20. Only one of my original top 10 has dropped off the list entirely (Lost Dogs), and my original #1 has not stood the test of time too well. The rest is fairly accurate. After going 2+ years between 1990's best-of lists, I am publishing 1999 only two days after 1998. Be impressed! Next up will be my top-50 albums of the decade (1990's). 1. Jimmy Eat World- Clarity** Less than a week ago someone I follow on Twitter said, “This is your regular reminder that the album Clarity by Jimmy Eat World exists, and you should be listening to it.” I remember the first time I heard the album, I went to my friend JMK’s dorm room and he put it on. We both freaked out over the guitar riff at the 45 second mark in “Your New Aesthetic.” That song is significant because that is how I named my blog. Despite really enjoying the listening experience in his dorm room, it took me a few months before I actually got the album. How I acquired it is unbelievably ridiculous. I had recently purchased The Waterdeep album Everyone’s Beautiful. I was incredibly disappointed by it. Well, my friend MS wanted it, so he traded me Clarity for it. Crazy. 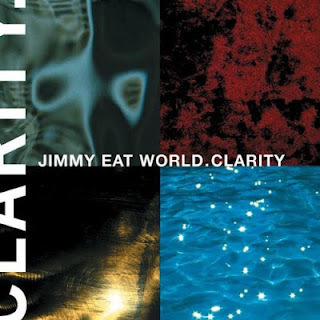 Clarity has grown to be one of my top 10 favorite albums of all time, and I never heard that Waterdeep album ever again. Another funny memory about this album: In 2001 myself and a roommate of a girl I was dating drove from Birmingham to Atlanta to see Death Cab for Cutie (yes, the Photo Album tour!). On the way back from the show, very late at night on I-20, I put Clarity in the CD player. I thought the girl in my passenger seat was asleep, but when the first line of “Table for Glasses” began, she started singing along. Needless to say over the next hour I developed a huge crush on this girl and forgot about her roommate who I was dating. 2. Stavesacre- Speakeasy The last great full-length from this band, although they would remain mostly active for the following decade. Jeff Bellew co-wrote almost the entire album, but after leaving the band following its recording, was inexplicably only credited with “additional guitars” in the liner notes. 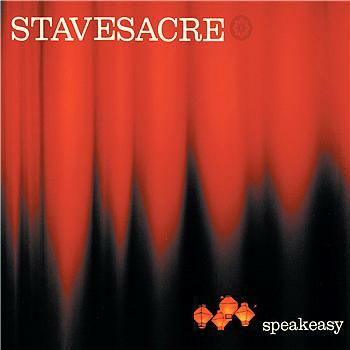 While Stavesacre is one of my favorite bands, I have very mixed feelings of their works in the 5 years following this album, and was incredibly critical of them from 2000-2003. The peak of my criticism came when I saw them in concert at OneFest in Memphis in 2001. For one, they released their first post-Speakeasy songs on a split EP with Denison Marrs. The songs were very weak compared to their three LPs. Secondly, the concert featured only one original member of the band (Mark). It bothered me a lot at the time, and it begs the question how much does a band’s line-up really matter. Two of my favorite bands of all-time, Poor Old Lu and the Prayer Chain, only existed as four-pieces in which all four members remained constant and all four contributed to the writing of all of their songs. Countless other bands obviously have been able to remain successful and creative while frequently replacing drummers, bass players, guitarists, etc. Well, for some reason with Stavesacre it bothered me more than other cases. Not that it was their fault, as band members come and go and have more important things in their lives than recording music. But the quality suffered greatly. The three songs from the split EP reappeared on their self-titled album in 2002, and the LP was absolutely horrible. I couldn’t even believe it was the same band. Thankfully Stavesacre did recover and release the solid Bull Takes Fighter EP in 2004 and How to Live With a Curse LP in 2006. And then Jeff rejoined the band for a final amazing, aggressive EP in 2010, Against the Silence. When is someone going to start putting these Stavesacre masterpieces out on vinyl? 3. 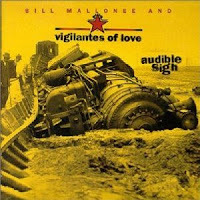 Vigilantes of Love- Audible Sigh Speaking of line-ups... Well, VOL was never really a band per se, it was just Bill Mallonee and his players. This is the best Vigilantes of Love album, and as I mentioned in my 1998 post, you can give a lot of credit to Bill’s help: fantastic multi-instrumentalist Kenny Hutson, producer Buddy Miller, and vocalists Julie Miller and Emmylou Harris. It is also some of the best songs Bill has ever written. This was the album that should have put this band on the map, but record label issues unfortunately prevented that from happening. There are actually three different CD versions of this album, and I bought all three just to get all the songs. I didn't want anyone else to have to do that though, so anyone I knew who bought any single version I gave my "Definitive Audible Sigh", which was my own personal sequence of all of the songs from all three versions, with unique artwork. And what I didn't remember until grabbing a JPEG to post the album cover is that the 2nd and 3rd album cover versions added "Bill Mallonee and" to the beginning. How tacky. Although at least 2 of the 3 album covers feature this terrific train photo; the third is just a black & white photo of Bill himself. Sometimes marketing people really confuse me. 4. Luxury- Luxury Every time I write or talk of Luxury, I have to mention how amazing they were in concert. If you have read my blog since the beginning you are probably tired of me calling them “the greatest live rock band of all time”, which myself and my fellow deejays of the B.A.Zone (WVSU 91.1) dubbed them in the late 90’s. 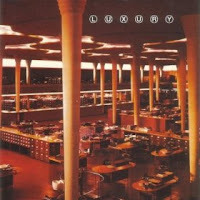 Luxury’s first album, Amazing and Thank You, is one of my top 20 albums of all time. Their second album never quite impacted me the same way. This third album absolutely blew my mind the first time I heard it (and on many repeated listens). I saw them play the album release show at the EARL (East Atlanta Restaurant and Lounge in Atlanta) and a band called Annie opened who was also very good. 5. 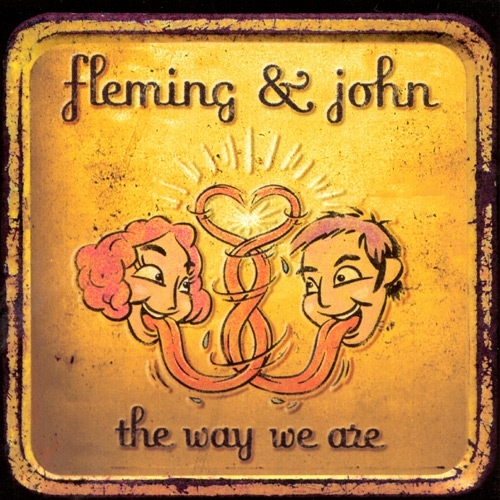 Fleming and John- The Way We Are Thirteen years later I am still waiting for the follow-up to this album. 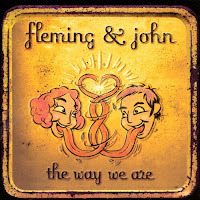 John Mark Painter has remained heavily involved in the music scene as an instrumentalist and producer, but unfortunately has not recorded another album with his wife Fleming. I saw them perform half a dozen terrific shows between 1995 and 1999, and their concert in the basement of a Vanderbilt frat house in February of 1995 (with Hoi Polloi) was my first “real” rock show. 6. 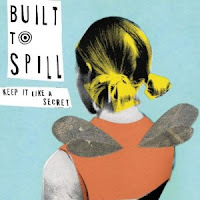 Built to Spill- Keep it Like a Secret** I was aware of Built to Spill in 1999, but barely. I had a few compilation albums and mix tapes with their songs, but it really wasn’t until 2004 that I grew to love them. I have slowly purchased almost everything in their discography, but this is the one that always stands out to me as the most interesting. They are probably the only band in the world from Idaho. 7. The Juliana Theory- Understand This is a Dream* I don’t know when the first mp3 was created and uploaded to the web, but I still remember the first one I downloaded. It was “August in Bethany” from this album. I liked that song enough that I purchased the CD the first time I saw it in May of 1999. The timing was significant, because May and June of that year were some of the best and most emotionally traumatic times of my life. This album was the perfect soundtrack. The week following the acquisition of this album I was driving all over the Southeast between Atlanta, Birmingham, and Nashville. This CD never left the player. I remember one day I listened to it 4 or 5 times in a row. I don’t do that. But it just hit me. If you have never heard this album, you are probably assuming it is spiritually profound or something. It is not. It is pretty shallow and silly actually with the exception of one song (“For Evangeline”). But I was obsessed with it for years. 8. The Innocence Mission- Birds of My Neighborhood I have my vinyl records organized on shelves alphabetically, but also in two groups. The first group is 1989 and earlier, the second group is 1990 and later. 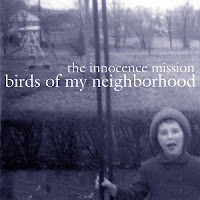 I mention this because The Innocence Mission and R.E.M. are the only bands that would be in both groups (although I keep all the R.E.M. in the first one and all the Innocence Mission in the second one). I unfortunately don’t have this album on vinyl, and I don’t think it exists. One of the quietest, most peaceful albums I own. And behind Glow, the band's next-best work. 9. Fiona Apple- When the Pawn Hits the Conflicts He Thinks like a King What He Knows Throws the Blows When He Goes to the Fight and He'll Win the Whole Thing 'fore He Enters the Ring There's No Body to Batter When Your Mind Is Your Might So When You Go Solo, You Hold Your Own Hand and Remember That Depth Is the Greatest of Heights and If You Know Where You Stand, Then You Know Where to Land and If You Fall It Won't Matter, Cuz You'll Know That You're Right I was a casual listener of Fiona Apple before I met my wife. Which essentially meant I had only heard one or two songs. Well, right after we got married the original version of Extraordinary Machine leaked online. 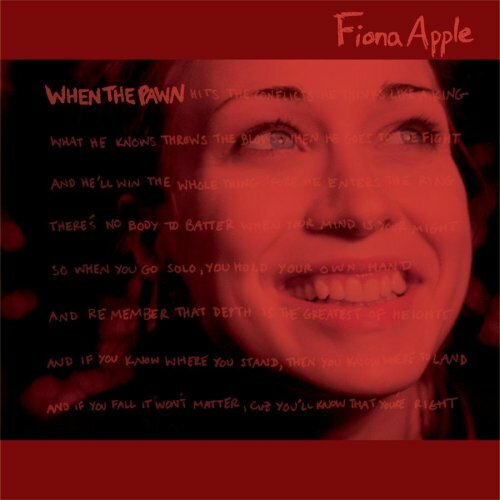 My wife and I listened to it non-stop, and it also led to me really listening to for the first time Fiona’s first two albums. This is probably her best album, but because of the intense, dark, and offensive lyrics, I probably listen to it the least. Based on my one Fiona Apple concert experience, I think this album sounds the most like her live show. 10. Aaron Sprinkle- Moontraveler Really the only thing that made Poor Old Lu’s break-up tolerable was that Aaron Sprinkle remained prolific for the next five years. His band Rose Blossom Punch released an album the year following Poor Old Lu’s last, and then after RBP dissolved he started putting out solo albums. This is the first of his three solo albums he put out in three straight years, and the one I come back to the most. Unfortunately the prolific-ness ended after his final solo album in 2001 and then the reunited Poor Old Lu’s The Waiting Room in 2002. The only things we have heard from him since are the two outstanding Fair albums in 2006 and 2010. I expect his next release to be another solo album, but unfortunately he has spent way too much time producing and not enough time working on his own songs. I guess you have to do what pays the bills. 11. 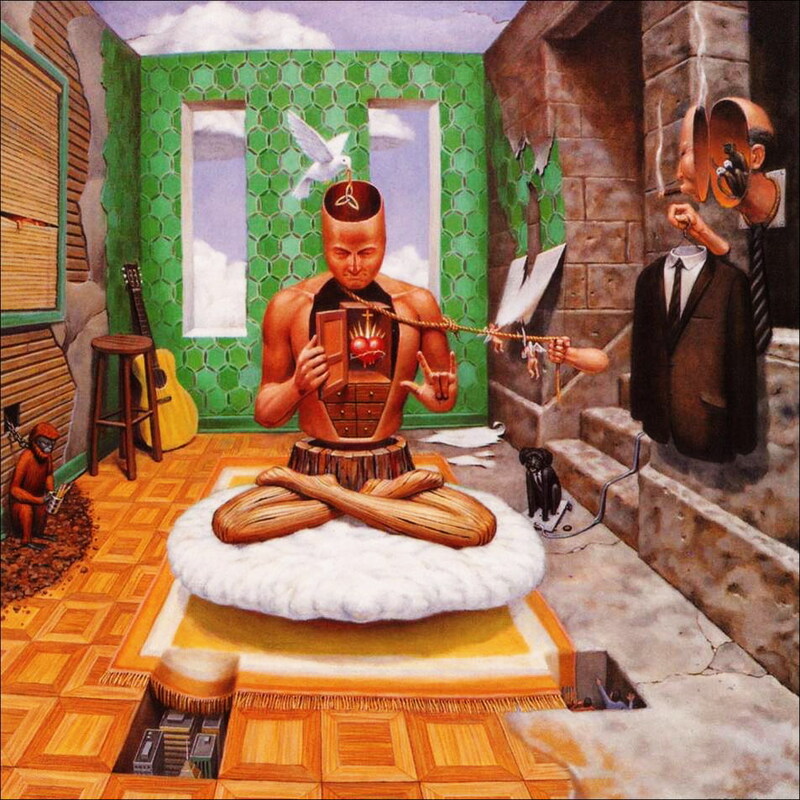 P.O.D.- The Fundamental Elements of Southtown Most people became aware of P.O.D. 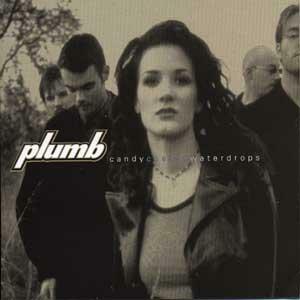 in 1999 with the release of this album and the rise to MTV fame. They had been around for more than 5 years before though, constantly touring the underground. Their first two albums suffered from some pretty terrible production, so it was hard to appreciate the songs. They finally got some money behind them though and that resulted in this, their first properly recorded music. 12. 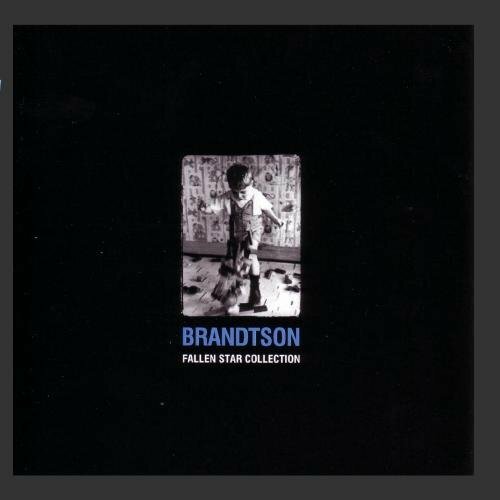 Brandtson- Fallen Star Collection The difference between this album and the band’s first couldn't have been more drastic; hard to tell it is the same band (all in positive ways). While Letterbox is drenched in muddy reverb, with this album it is like the guitars got a bath and everything sounds nice and clean. Brandtson was still somewhat developing their sound at this point, and as good as this album it is, it pales in comparison to what they would accomplish in the years to come. 13. 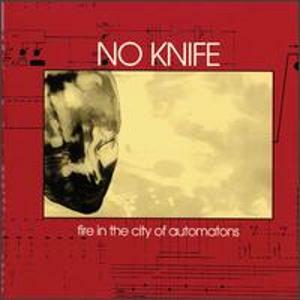 No Knife- Fire in the City of Automatons* Still can’t believe I knew nothing of No Knife until 2009. They could have easily been one of my favorite bands in the 90’s, but someone forgot to tell me they existed. This is arguably their best album. 14. 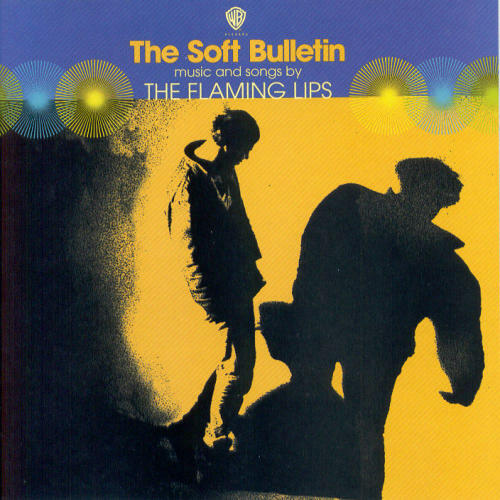 The Flaming Lips- The Soft Bulletin* As much as I like the Flaming Lips, I honestly still don’t think I really appreciate them like their biggest fans do. Their catalog is so immense, and I only have a fraction of it. Not sure I necessarily like this album the best, but it is probably the most focused album they have ever released. 15. 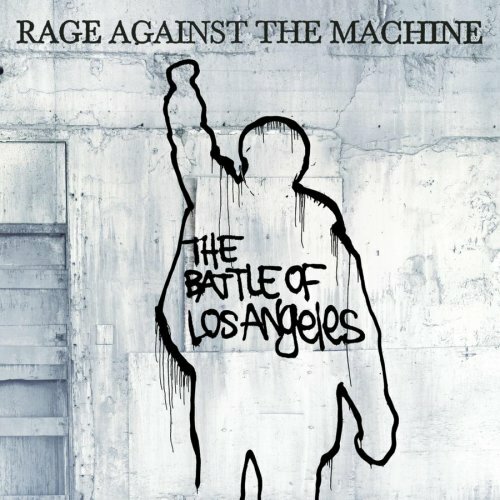 Rage Against the Machine- The Battle of Los Angeles In the late 90’s, there was Rage Against the Machine, and then a dozen other bands trying to copy their sound. Listening to them makes me want to become a political activist. 16. 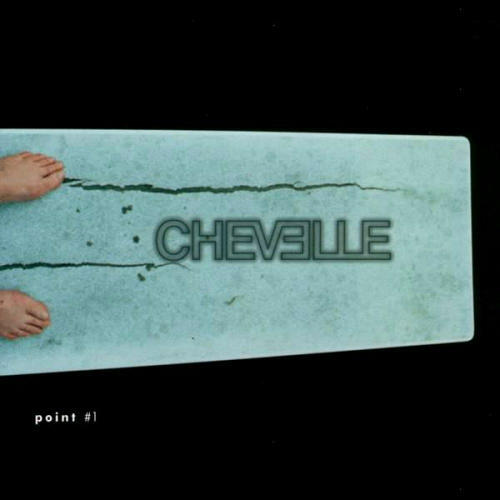 Chevelle- Point #1 This, Chevelle’s debut, probably sounds a little too much like Tool. 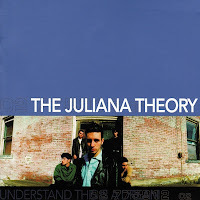 In fact, I think I read years later that the band was upset with the production and the possible similarities. However, if it weren’t for sounding like Tool, I probably would have never discovered them. I remember listening to some late night radio show in Birmingham and hearing Chevelle for the first time. The following week, without being able to remember the name of the band or the song, I called up the same radio show and asked, “Could you play that new song that sounds like Tool?” Thankfully with their next and best album, 2002's Wonder What's Next, they developed their own style. I just visited their website for the first time in ages, and the band doesn't even acknowledge the fact that Point #1 exists. Silly. 17. 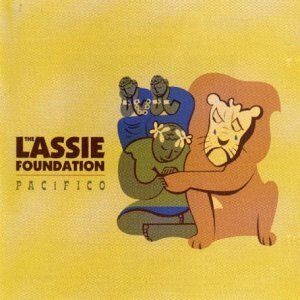 Lassie Foundation- Pacifico* It took me years to really get into the Lassie Foundation, as a big part of me kept hoping Wayne (lead vocals) and Eric (guitars) would go back to playing their old instruments in their old band (drums and bass, respectively, in the Prayer Chain). The Lassie Foundation would remain an active band much longer with a much larger catalog though than their first band. While all their albums are outstanding, this is probably their best work. In later years, with the exception of their final EP, their sound got a little too polished. Random fact: The other guitarist in the Lassie Foundation is Jeff Schroeder. Jeff has been the lead guitarist in the Smashing Pumpkins since 2007. Jeff also played guitar on the Violet Burning’s self-titled album, one of my top-20 all-time favorites. 18. 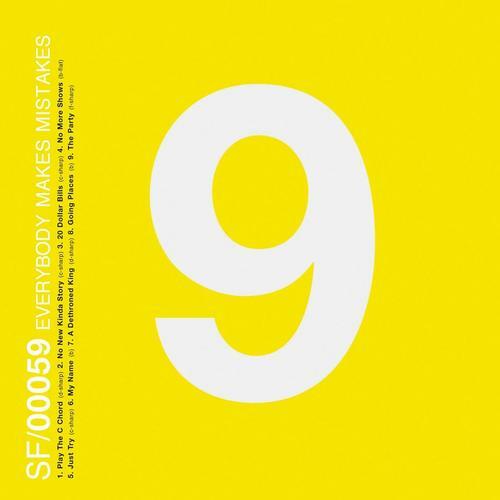 Starflyer 59- Everybody Makes Mistakes* As I work on these lists through the years, there is one band that seems like they are on every single one. Can you believe Starflyer 59 has 13 studio albums in 20 years?! That is crazy! Not to mention 8 EPs, a few live albums, and two box sets. With that many releases, you would think they would all start to blend together. I guess maybe if you discovered them somewhere along the way, that might be true. But since I have been fortunate enough to be aware of them since “Starflier 59” (misprint on the first pressing of the Silver CD), all the different albums and eras are distinct. 19. 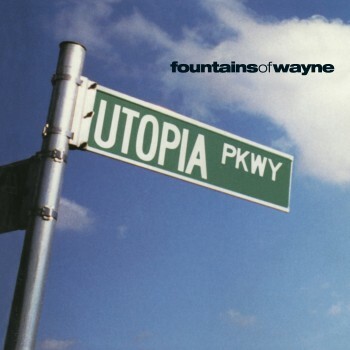 Fountains of Wayne- Utopia Parkway It’s funny how long sometimes it takes you to appreciate an artist. With Fountains of Wayne, I was aware of them from the beginning (1996). I loved “Radiation Vibe” when it was on the radio, but for some reason it took me 7 years to actually buy an album of theirs. I don’t actually know what led me to order 2003’s Welcome Interstate Managers while living in Zambia, but I am glad I did, because it became my 2003 album of the year. These guys are some of the most clever songwriters in the industry, and can write songs that make you laugh (most of the time) and sometimes even cry (“Troubled Times” on this album). I didn’t even rank EPs in 1998, but there are too many good ones in 1999 not to comment. 1. Kerith Ravine- The Drafting Sessions Chances are that you have heard of Lovedrug, who released their fourth album, Wild Blood, last year. Also a pretty good chance that you didn’t know Lovedrug started out as Kerith Ravine. Singer/songwriter/guitarist Michael Shepard fronts both bands. While the current Lovedrug sounds absolutely nothing like Kerith Ravine, Lovedrug’s first and best album, 2004’s Pretend You’re Alive, sounded extremely similar to the end of Kerith Ravine (aided by the work of awesome bassist Adam Ladd in both bands). 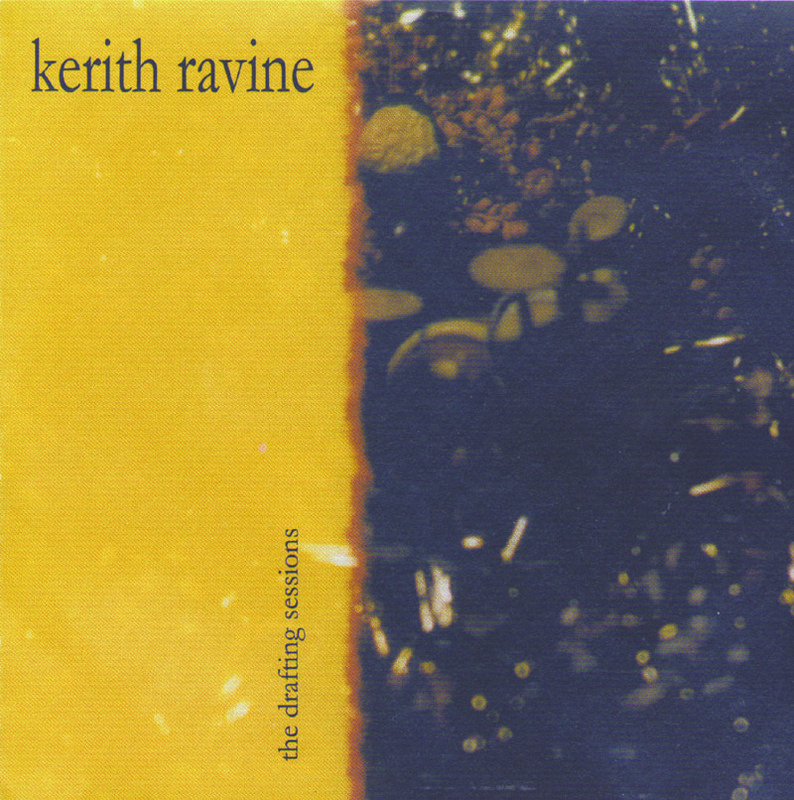 Well, this EP was Kerith Ravine’s debut: equal parts Sunny Day Real Estate, My Bloody Valentine, and the Smashing Pumpkins, but while staying original. Just like Jimmy Eat World, this band was introduced to me by my friend JMK. The production of this EP is sadly terrible, but the songs are great. With a quick Google search, I actually just discovered a Kerith Ravine interview I have never read before. And crazily, in that interview they hint that they were planning to tour with No Knife. Oh man, where is my time machine? UPDATE: Holy crap, what Google uncovers. 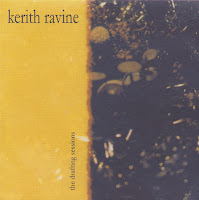 Turns out Kerith Ravine recorded another song I have never heard! That is going to result in a new blog post of it’s own, RIGHT NOW. 2. Tess Wiley- The Energy You Keep** Tess released a bunch of EPs, and this was the best one. It was a LONG wait for her to release her first LP, but thankfully she put out an EP often enough to keep me paying attention. The highlight of this 4-song release is “My Favorite One.” The song would reappear years later, but this version and it’s explosion of guitars is so much better. This EP is also a 10” vinyl record, which is only only one of a few of 10”s I own. Apparently this EP is so rare that the only image of it on the web is only 120 x 120 pixels, which looks pretty terrible. I'll have to scan my own! 3. 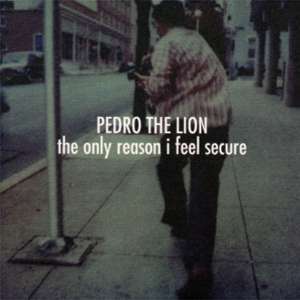 Pedro the Lion- The Only Reason I Feel Secure* David Bazan had stayed pretty conservative until this release, but after you listened to “Criticism as Inspiration” the first time you knew his music would never be the same. A shocking as the lyrics to that song were, it now seems very mild compared to the lyrics he would write in the years to come. 4. Rainer Maria- Atlantic Not much to say about this one, except the title track is my favorite song from the band. 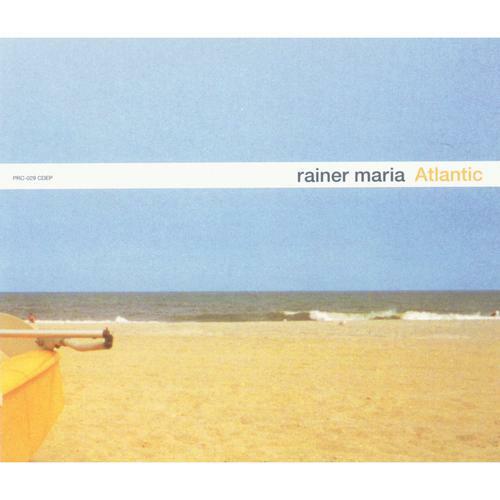 I didn't discover Rainer Maria until pretty late, and I have never listened to them enough. 5. 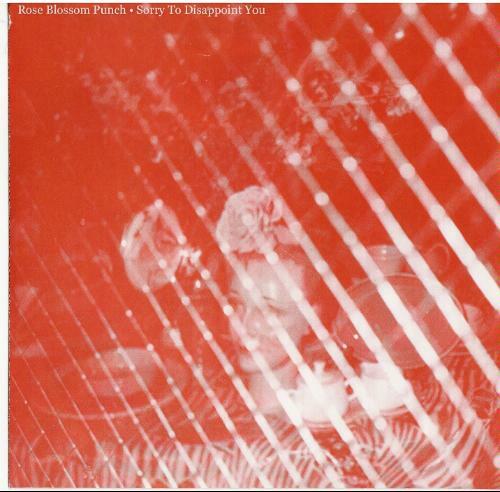 Rose Blossom Punch- So Sorry to Disappoint You This EP sort of got lost in oblivion for awhile. Strangely enough it was released by MP3.com. The cover is unique artwork, but the rest of the jewel case is a generic print-out that must have been the same for everything the website did. 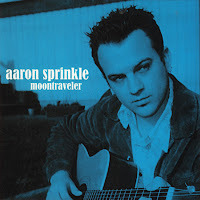 Unfortunately the end of this Aaron Sprinkle band, alhtough he could have easily chose to use the same moniker for Fair years later.